Many ISOs include arbitration clauses in their Agent Agreements. As will be explained below, resolving disputes in arbitration provides the ISO certain advantages when a dispute arises between an ISO and an agent. Below, I will provide information about what exactly arbitration is and the pros and cons from the perspective of an agent regarding arbitration provisions. When a dispute arises between two parties to a contract, under most circumstances either party may file a lawsuit seeking to enforce the terms and conditions of the contract. However, when there is an arbitration provision in the contract, the parties are not allowed to file a lawsuit, but must instead, settle their dispute through arbitration proceedings. Arbitration is a private proceeding for resolving disputes that is used instead of filing a lawsuit in the courts. The arbitration usually commences with one of the parties filing a notice of intent to arbitrate with the American Arbitration Association (“AAA”). AAA is a private company that oversees the vast majority of the arbitrations that are performed in this country. Most contract disputes are arbitrated under the commercial rules of the AAA. The commercial rules set forth a system whereby the arbitrators are picked, the parties exchange various types of information and the actual arbitration proceedings occur. Once the arbitration is commenced, the matter proceeds much more informally than it would if it were litigated in court. The first important event in the arbitration procedure is the selection of the arbitrator. Most arbitration clauses provide for one arbitrator if the parties can agree on one person. If they cannot, each party picks an arbitrator and those two arbitrators pick a third party, for a total panel of three arbitrators. Once the arbitrators are selected, the parties can then agree to allow for an exchange of information between the parties which is called discovery. However, the commercial rules provide that if the parties do not agree to any discovery, none can be performed. What this means is that neither party will be able to obtain from the other party any evidence or documents of the opposing party relevant to dispute. The arbitration itself is like a trial in court except less formal. The evidentiary rules that are applied in court are not strictly adhered to and there is generally less discovery. Once each side has concluded presenting its evidence, the arbitrators retire and then render a verdict in the matter. Arbitration is not the same as mediation. In an arbitration the arbitrators actually render a decision which is binding on the parties whereas in mediation no formal decision is rendered. Mediators merely facilitate settlement and if settlement is not obtained, the parties move forward with the existing litigation or arbitration. Arbitration is generally much less expensive for the parties. An arbitration is a more informal process and hence attorneys do not have to perform and bill the client for a number of items that would be necessary in a court case. Also, given the fact that there is usually very limited discovery, attorneys have to work much less and the attorney’s fees for the case workup is less expensive. As to the arbitration itself, it generally takes much less time than a court trial would, further reducing the costs of the arbitration. 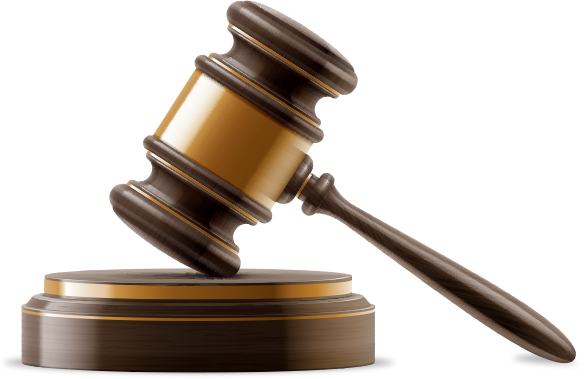 Lower costs is generally the main reason cited by parties for utilizing arbitration. However, there are a number of different reasons an agent would not want to use arbitration, one of which is that arbitration does not allow for an agent to present its case to a jury. In the situation where an agent is suing an ISO for failure to pay residuals or the like, an agent can usually obtain an advantage by presenting its case to a jury. A jury generally is more sympathetic to a small agent that is being taken advantage of by a large ISO. Arbitrators, usually retired judges, are much less likely to let themselves be swayed by any bias they may have against an ISO who wrongfully withholds a residual from an agent. Another disadvantage to arbitration is that the agent may be unable to obtain critical information in order to present its case due to limited discovery. The typical dispute between an agent and an ISO involves the payment of residuals. The agent must prove the amount of the residual it is seeking in order to be able to prevail on the claim. However, the ISO is in control of all the documentation that the agent needs to prove the merchants processing volumes and related residual. Since the arbitration procedure may not allow for the agent to obtain this information from the ISO, the agent is at a severe disadvantage, as it is unable to provide the arbitrators with the necessary information to calculate the unpaid residual. This in and of itself, can prevent an agent from collecting the residual that it is owed. Most arbitration provisions also call for the arbitration to occur in a city where the ISO is located. This can often mean that the agent has to fly literally across the country in order to participate in the arbitration. This is a time consuming and expensive proposition for most agents that may not be making enough money from a particular ISO to justify such a large expenditure. From the perspective of an agent, the disadvantages of arbitration far outweigh the advantages. For that reason, whenever an agent is negotiating a contract with an ISO it should seek to have the arbitration provision removed. Without an arbitration provision, the agent is on a much more even playing field with the ISO in the event of any contractual disputes.